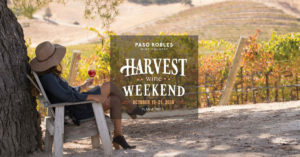 Please join us during 2018 Harvest Wine Weekend. We will be featuring new Fall releases in our tasting room. Catch us in action producing Vintage 2018! Our small production wines include Rhône, Bordeaux, Spanish, Primitivo, and Zinfandel varietals, and also four signature blends, Ascent (Rhône), Pinnacle (Bordeaux), Alta Montana (Spanish), and Summit (Paso Blend). These Old World styled wines of character and great flavor rely on native fermentation, extensive aging, and bottle conditioning. Come taste these delicious Paso Robles terroir driven wines!